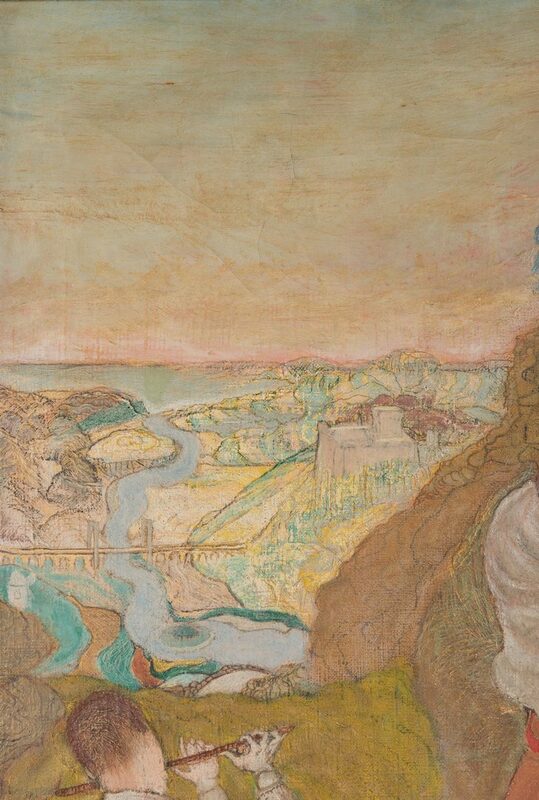 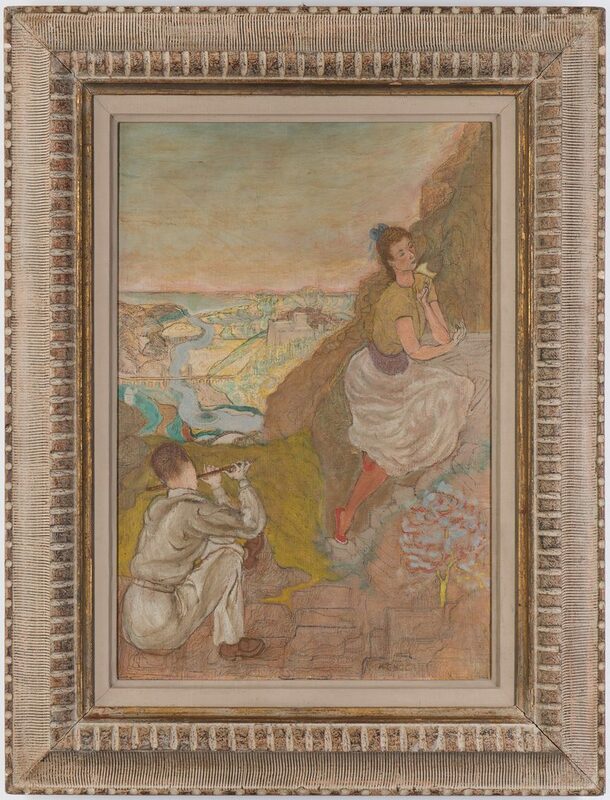 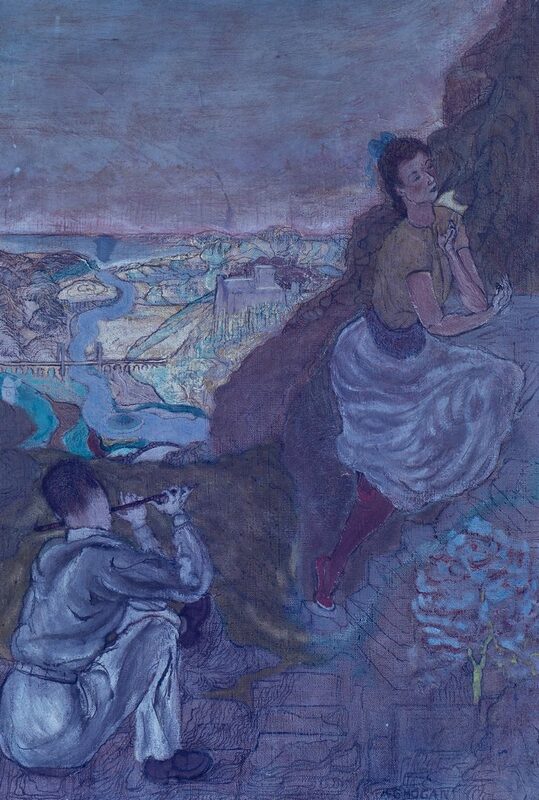 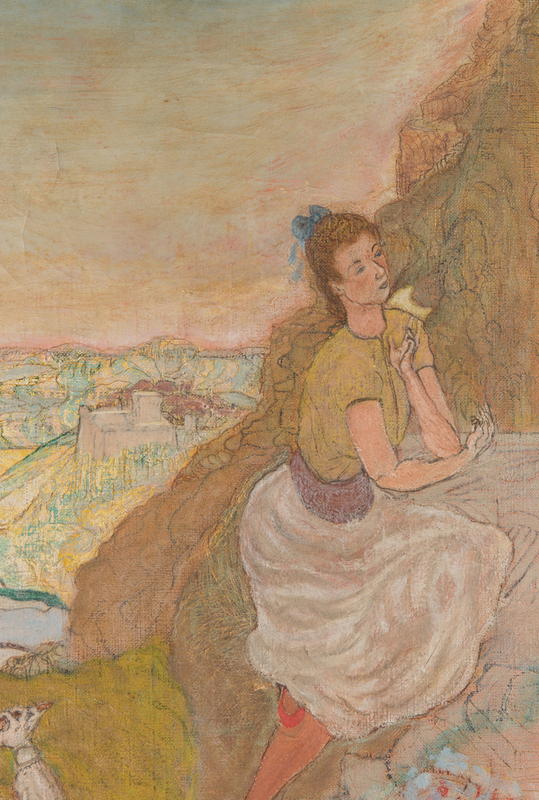 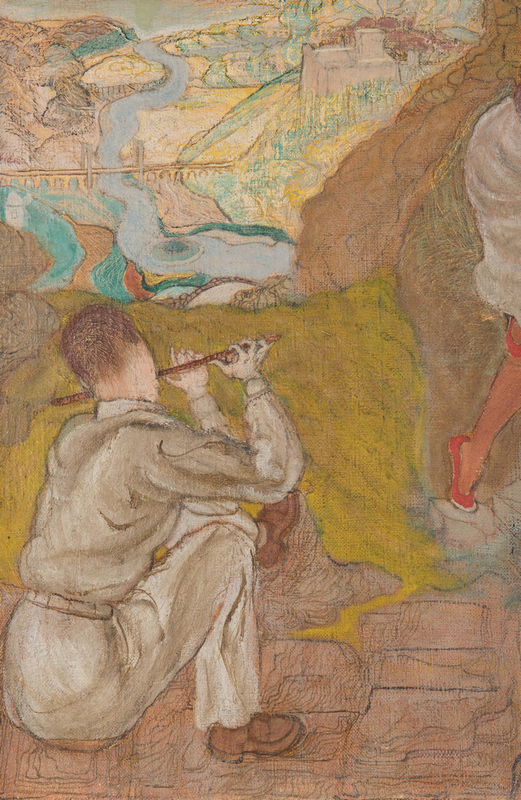 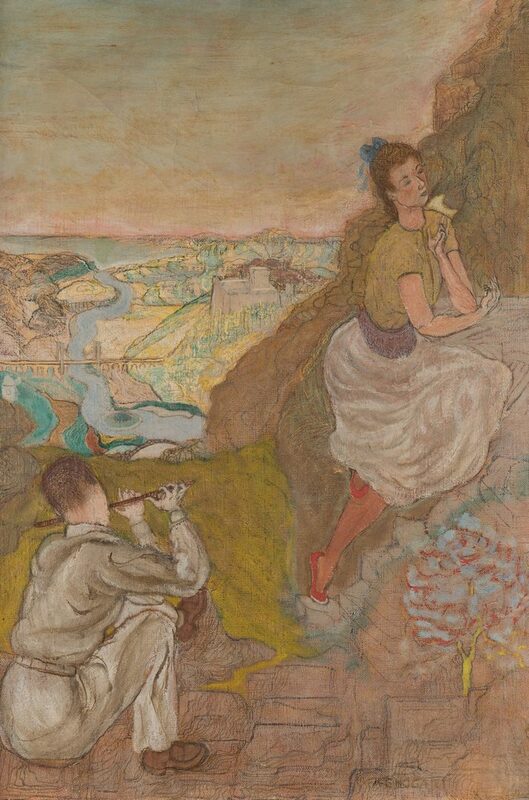 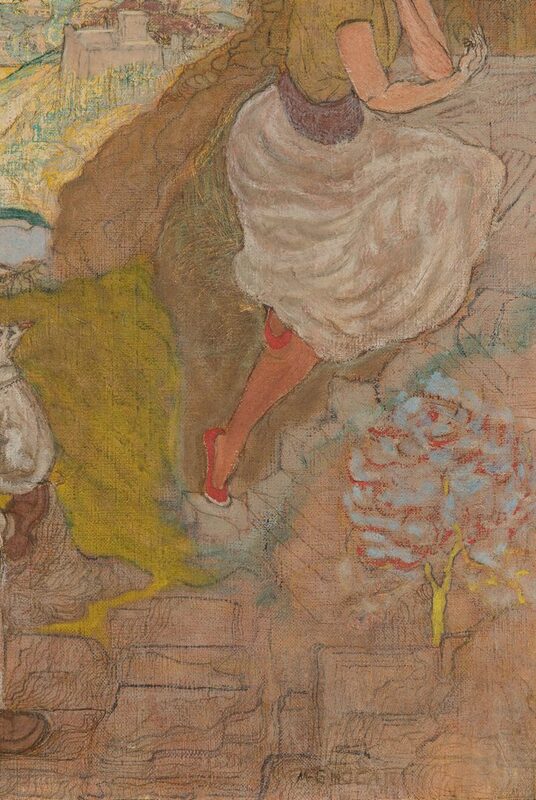 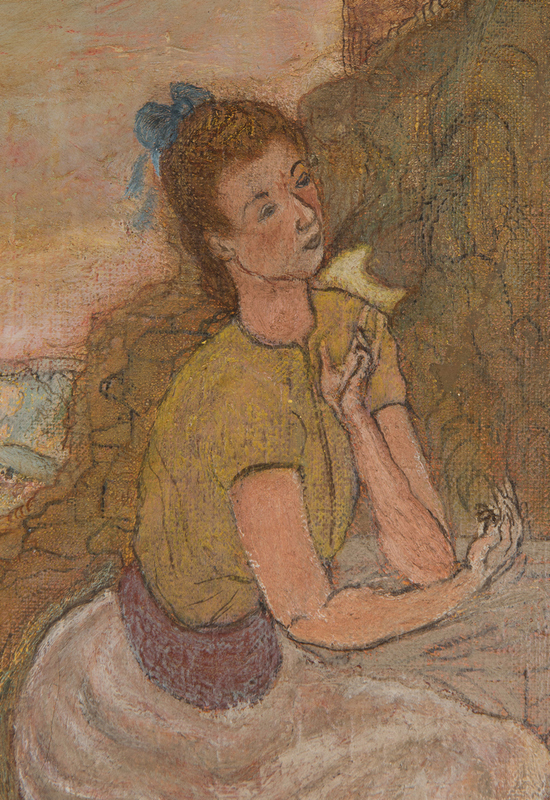 Continental School, mid 20th century, ink and tempera painting on canvas, depicting two figures resting on hill above townscape, a young man playing flute while a young woman sits on a rocky outcropping. 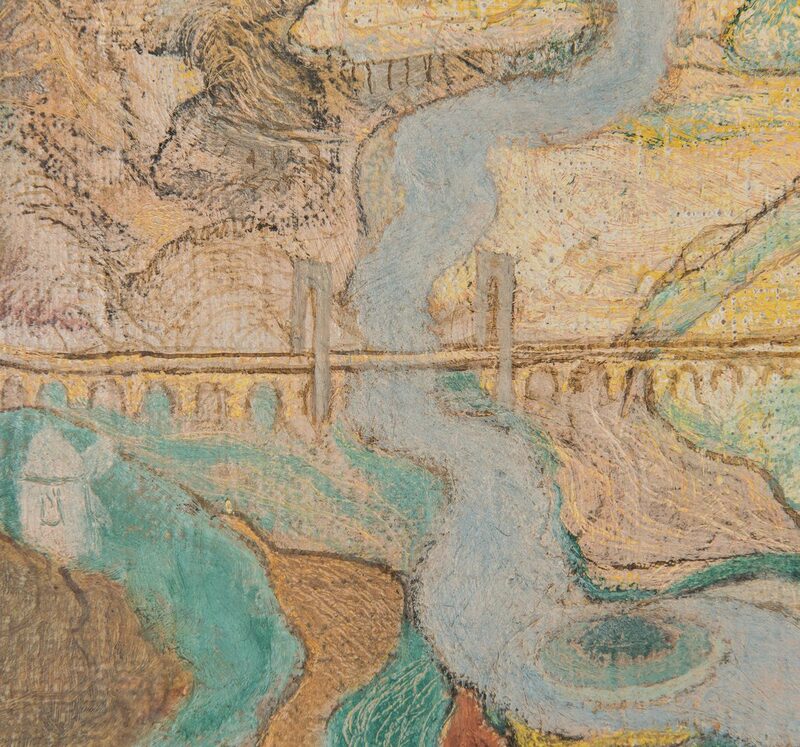 A town is visible below with a bridge over water leading to the ocean, background. 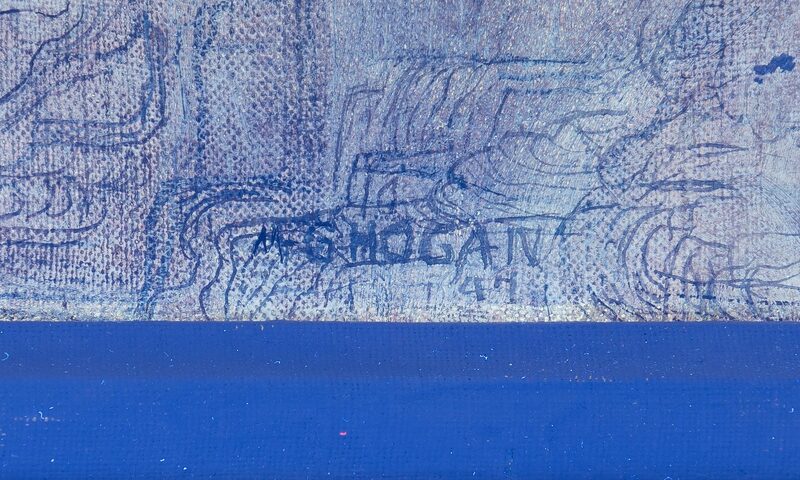 Signed lower rignt "M. G. Hogan" and dated "47". 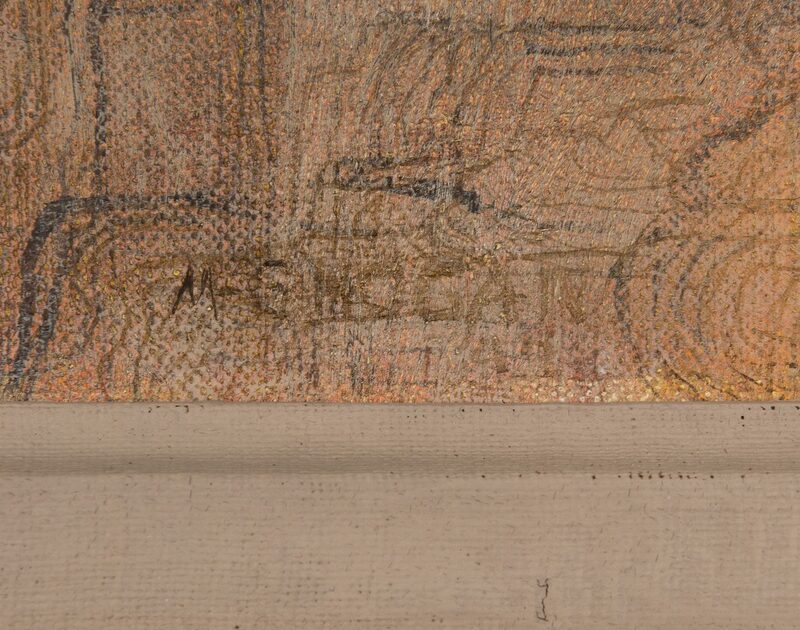 Glendale, Long island stamp on stretcher and Midtown Frame Shop stamp on frame. 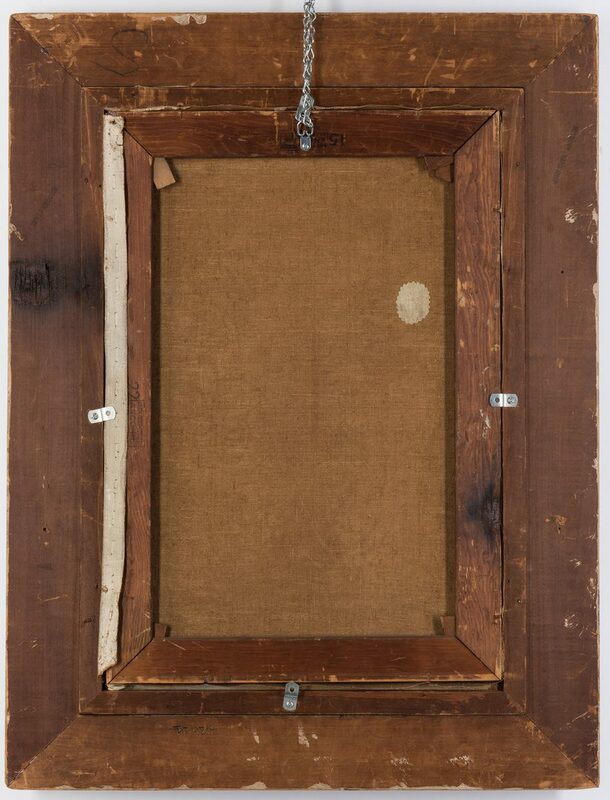 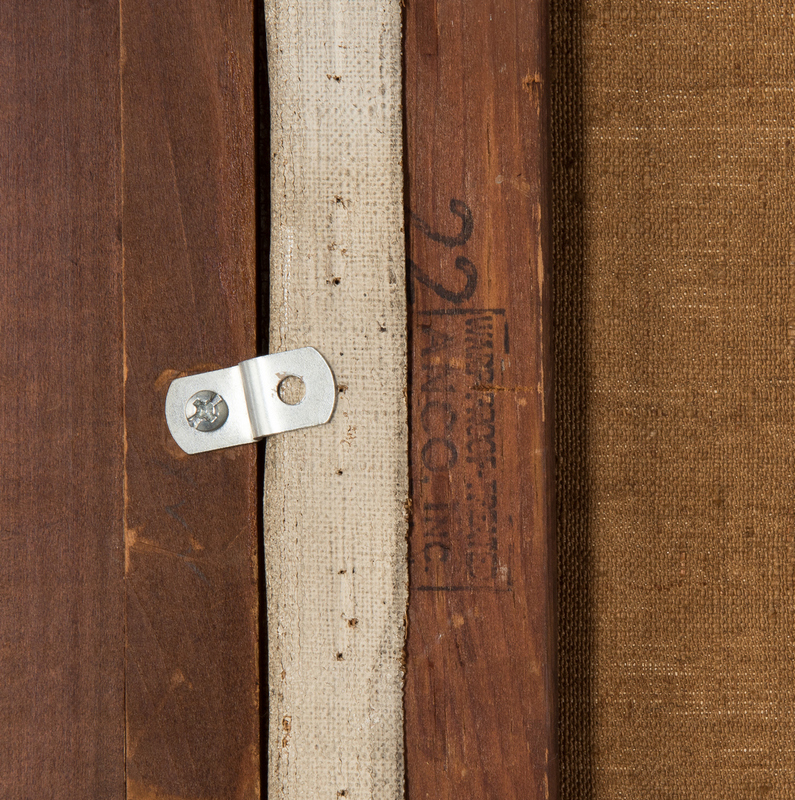 Sight – 21 1/4" H x 14 1/2" W. Framed – 30" H x 22 3/4" W. CONDITION: Areas of craquelure upper left quadrant. 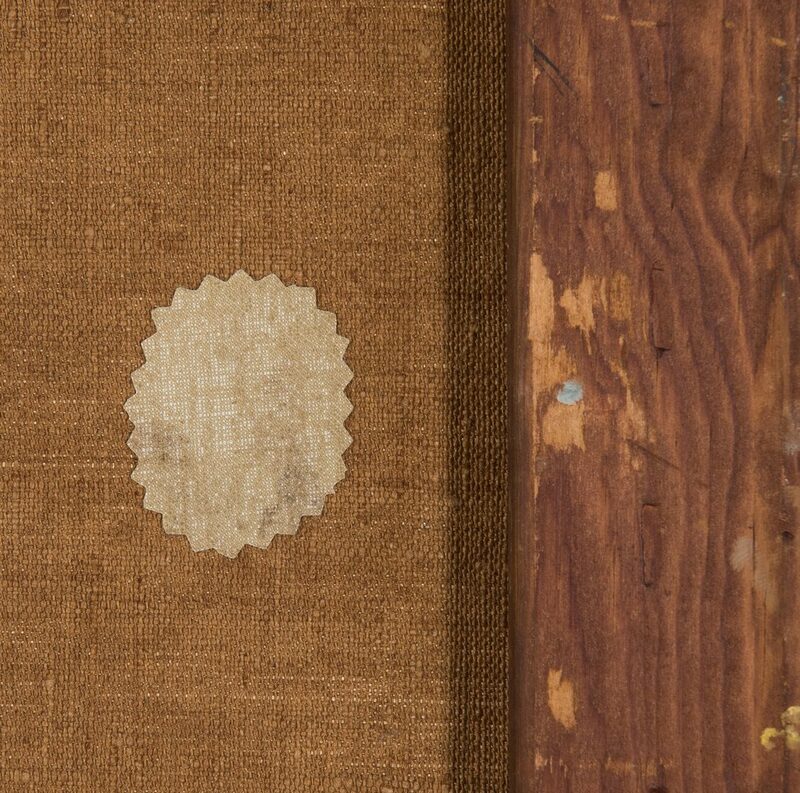 Patch en verso to repair area on front left along horizon.